This last Saturday was a grand old time in Venice, ringing in the new with a bunch of business and art openings. Once again, there was too much going on at once to properly get it all done, but we did our very best. 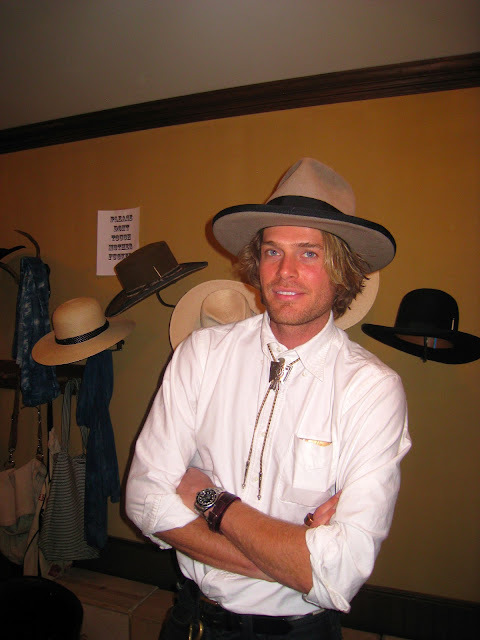 First up, I was delighted to celebrate with my guys at Nick Fouquet Hat. Co., creators and purveyors of the finest hats in the West. They now have a gorgeous work/sales space in the house at 1629 Abbot Kinney Boulevard that they share with Kapital (fancy, spendy threads out of Japan), H.O.W.L. (cool jewelry) and M. Cohen (more cool jewelry). Mikey was serving up the drinks, and Nick was the charming host, and the place was packed when I headed out to the next stop with my bike posse. It was so wonderful to see the beautiful photography work (and the big crowd there to see it!) of my dear friend, Paddy Wilkins, at Curio Studio and Collection on Sunset Avenue. As owner, Anne Faith Nicholls said while introducing the show, "It's all about Venice," and she was right. Wilkins (who can be seen in pretty much every commercial on t.v. right now) lives in Venice, as do most of the models that appear in his gorgeous photos made on a vintage Polaroid 600SE. In COLORFORM, Wilkins explores the senses with portraiture, focusing on anonymous women and the inherent beauty of both their bodies and what they cover them with. The subject's identities in the works give way to Wilkins’s focus on form, and the beautiful details captured in sheer fabrics, saturated hues, contrasting patterns and light translated through the medium of real film, without doctoring. In a world where we are manipulated by heavily altered images and impossible beauty, Paddy’s photos present a timeless, and unfiltered glimpse of woman. Yeah. You probably know some of these women, and part of the fun of the night was guessing who might be who. Curio is locally owned and artist operated, and always has excellent shows of innovative and profound artistry. Paddy Wilkins' Colorform will be showing until June 10th. 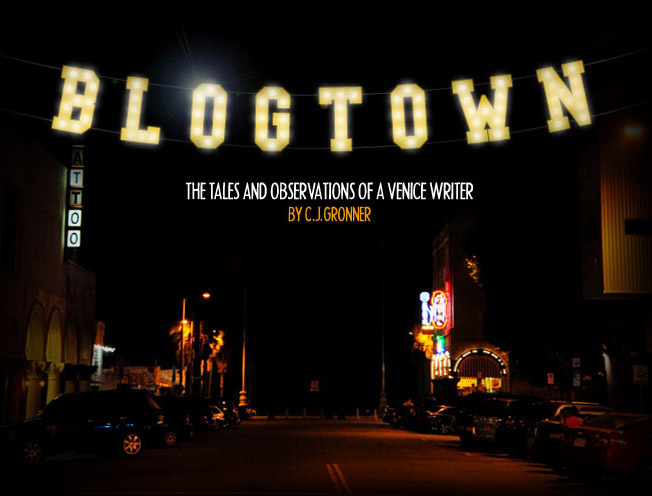 Plans were made, and the people dispersed out all over town, for points like The Townhouse, The Other Room, The Tasting Kitchen, and home ... whichever was your poison. All in all, it was a great night, in a great town, with great and talented people making it even greater. Congratulations to Nick and Mikey and Paddy and Anne and Nik and Jaime, and everyone who went to their fun jamborees ... VeNICE!